Myself and many other authors have gotten together to offer e-book titles for only $0.99 today! Be sure to click the banner above to access the promo page and see what will be available during the sale. 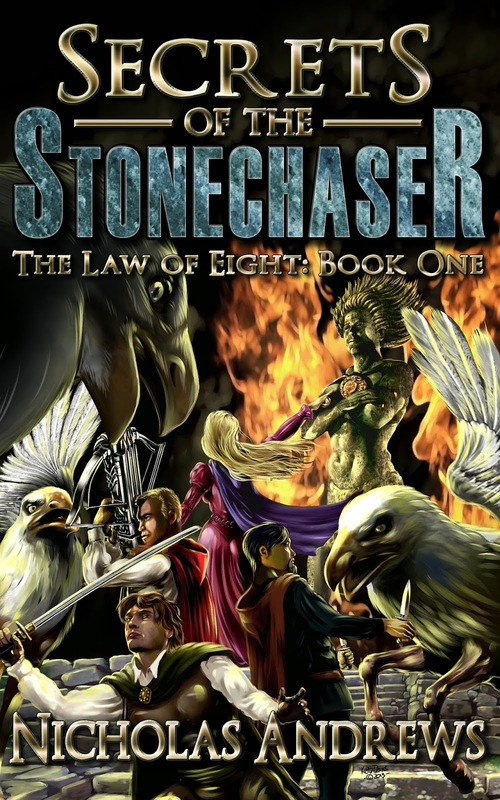 I will be offering Secrets of the Stonechaser, Book 1 of The Law of Eight. Get it today for a very big discount! NOAH K. MULLETTE-GILLMAN: What's the hardest part, for you, about writing fantasy? NICHOLAS ANDREWS: Logistics can be tough sometimes. In a contemporary story, if you need characters to be in a certain place they can get on a plane and be halfway around the world in twelve hours. Not so in a fantasy without flight or automotive travel. The characters need a realistic amount of story time to get where they're going, and if you depict the travel to get there, you have to make sure interesting things are happening along the way. 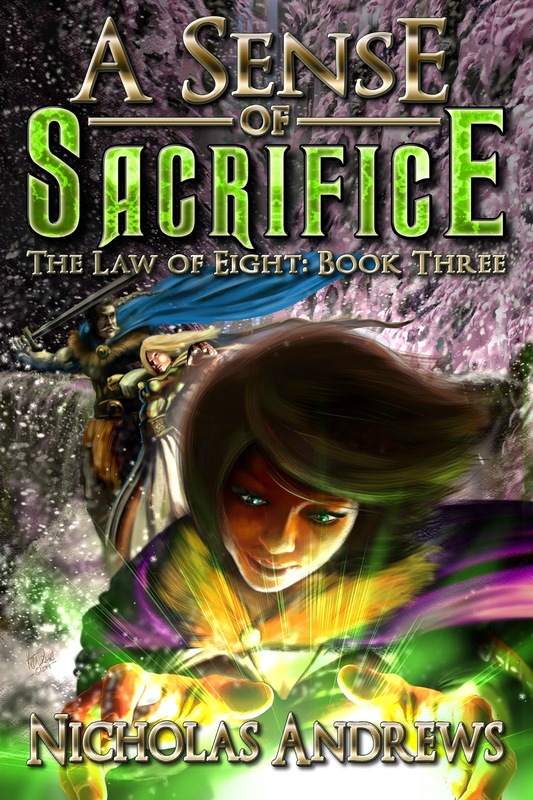 I'm still quite a ways from finishing it, but I went ahead and commissioned the artwork for A Sense of Sacrifice, Volume III of The Law of Eight series! 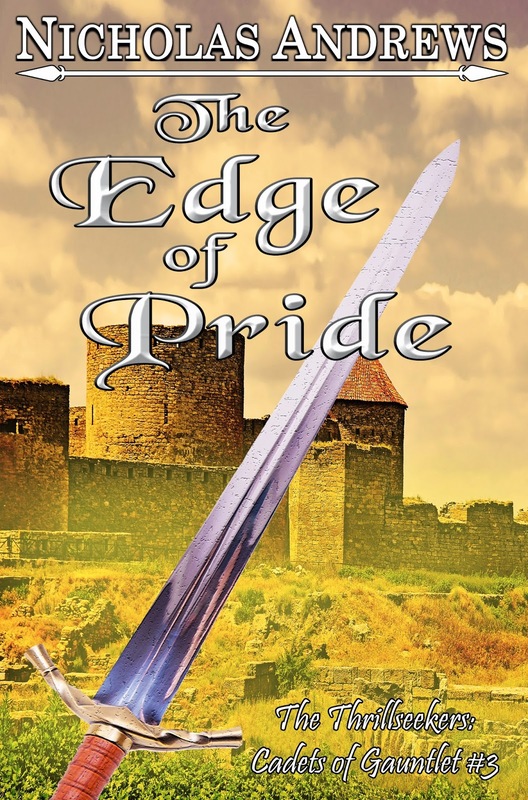 I gave a couple of interviews recently on some other independent author blogs. Thanks to KJ Bryen and Judy Goodwin for hosting me on their sites! As you may or may not know, in the last week Amazon has rolled out their Kindle Unlimited program. 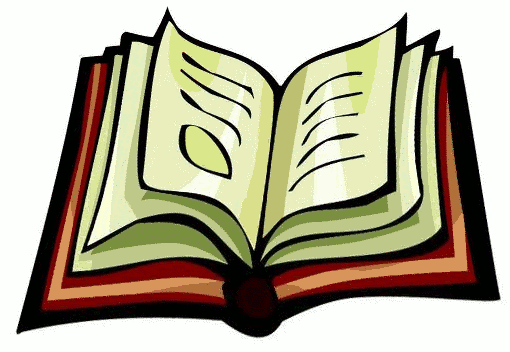 Subsribers can pay $9.99 per month to receive unlimited access to over 600,000 books. There is a free trial for the first month. Upon the recent release of Follow the Faery Footpath, I was thinking about when this whole Law of Eight saga started. This series isn't a recent idea... it's been in my mind for almost two decades now. 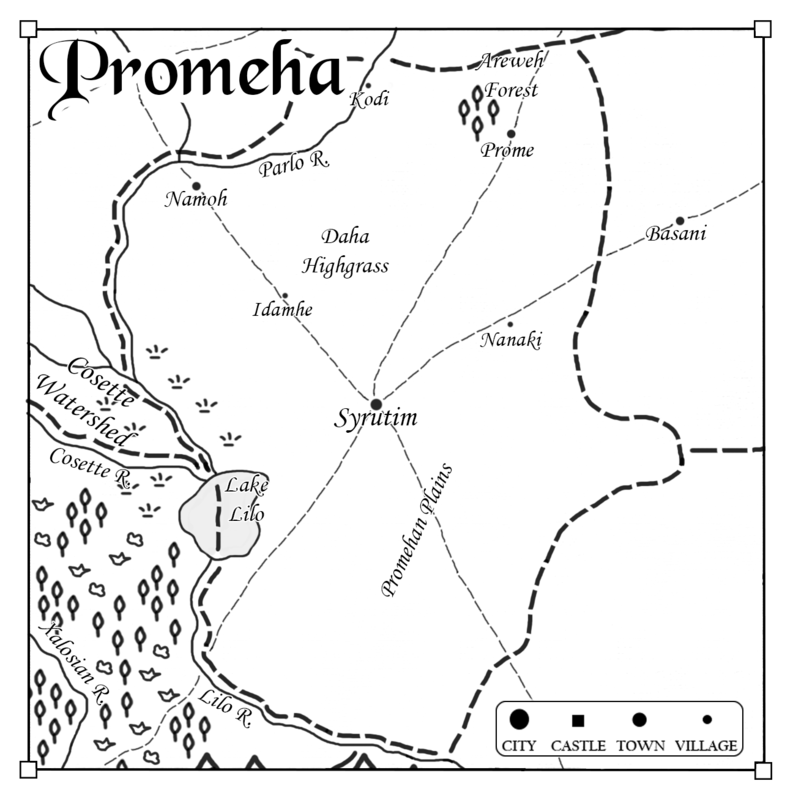 The first thing I ever created which was related to this product was the Map of Tormalia, which I drew when I was about fourteen or so, literally more than half my life ago. I did it just to draw a map; I didn't have a story in mind yet. Eventually, however, I came across something that inspired an outline of a first chapter to a story that changed so much that the original concept was gone by the time I even put pencil to paper on the first draft. On Christmas of 1996, my sister and I received a Nintendo 64. I endured a lot of teenage stress over whether or not it would happen, since it was a launch year, and N64s were about as easy to come by as digging for diamonds in the back yard. So I was elated until about a month later, when I picked up the January 1997 issue of Electronic Gaming Monthly, a popular video game magazine at the time. 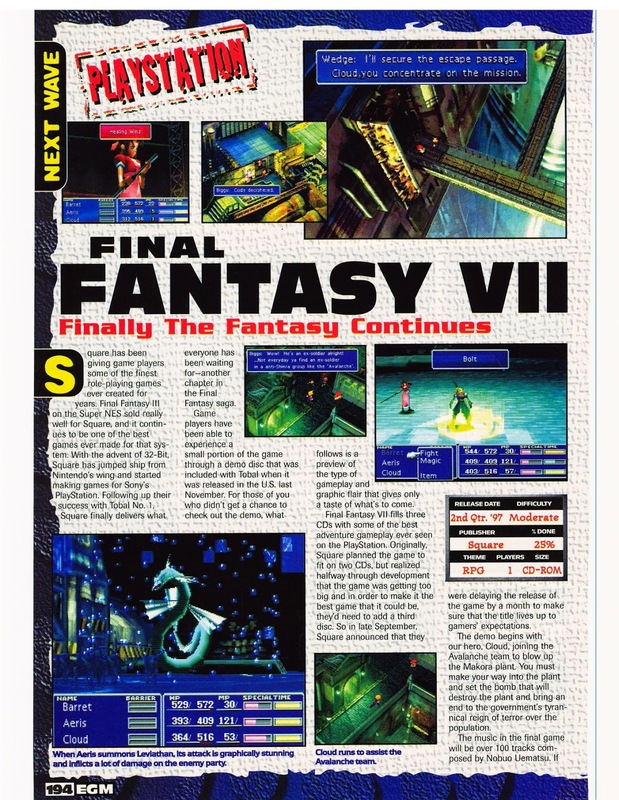 In it was a preview for Final Fantasy VII. I was heavily into Final Fantasy VI (or III at the time) on the SNES, so this was a disappointment to say the least. Because FF7 would be exclusively for the Sony Playstation. Not only had the graphics improved leaps and bounds, but the story sounded so cool. This preview was a review of the demo disc that came packaged with the Playstation game Tobal No. 1. 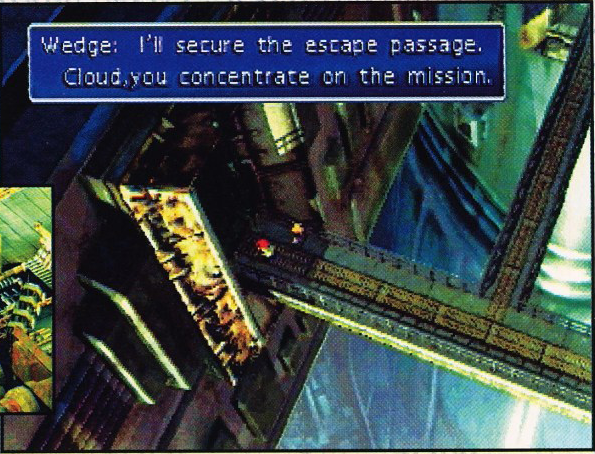 It took players through the first scenes of the game, where ex-SOLDIER Cloud Strife and Barret, leader of a resistance group called AVALANCHE, broke into a Mako energy plant to set a bomb. It was a carrot dangled in front of me. I was obsessed with FF6, so not being able to play the next game drove me batty, to put it mildly. I hid this from my parents. I knew they weren't about to spring for another console months after having to do what I was sure were unspeakable things to get their hands on a launch N64 (my theory involved them hijacking a plane from Japan and killing at least two men). I also didn't want them to feel bad by changing my tune so quickly after letting them think they surprised me (I actually knew about the gift months before Christmas, but that's another story). I also did not want the deaths of those Japanese pilots to be in vain. I promise I stayed inside the margins... mostly. (1) What's the Kladhol? Hell if I know. Perhaps this is the earliest reference to the Elemental Stone, but who knows. Every name I wrote here was just testing the waters and trying to come up with something catchy. The name of the first book went through several iterations as I searched for something that sounded good. At one point it was also titled Jade Eyes, Cloudless Skies, and The Judgment Hour (which is actually an awesome title, but it didn't fit the story that eventually came out). (2) I've never named the world that The Law of Eight takes place in, and I had forgotten the name Partore until I read it here. 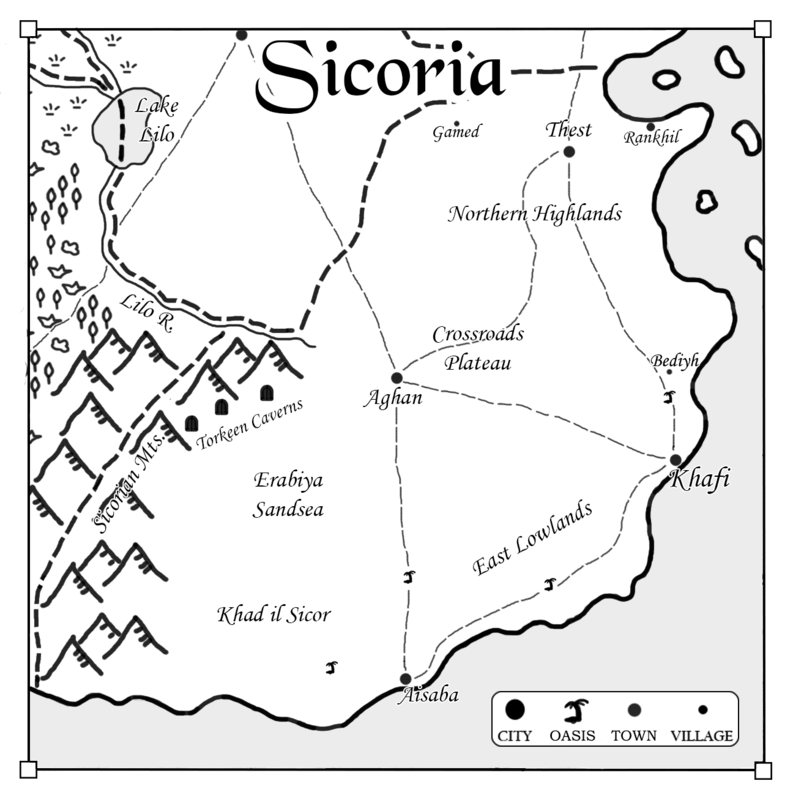 Asolia eventually became Tormalia... or more likely I wrote Tormalia on my original map and couldn't remember what I had called it, since I was in school and my map was at home. (3) On the original paper, it is very obvious that I originally wrote charactErs, erased it, and put charactOrs. Score one for teenage me. (4) Eris eventually evolved into Nerris, though I dropped the nicknames. His age is listed here at 31, but he went through a couple of ages. He was 24 in my original draft, but was aged up to 26 eventually. (5) The most obvious difference is that my eight assassins were eventually whittled down to four. Watane's role as the young, emotionally headstrong one eventually evolved into Chalis. (6) The society's elder, at the old, wizened age of 36, was eventually replaced by the 60-something Rade. (7) No one had yet told me that "Saber" and Sabre" were the same thing. (8) This role was eventually filled by Mikaren in the final draft. 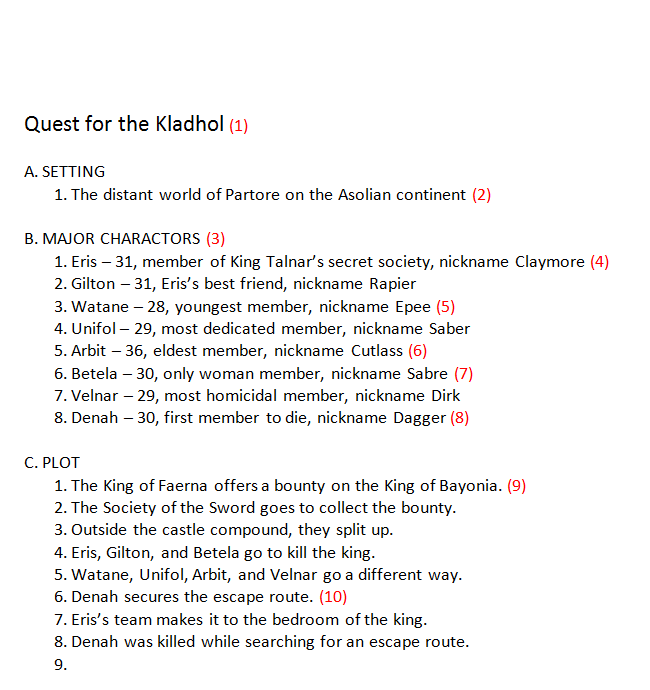 (9) Obviously the sides in this were changed to the leader of a rebellion sending assassins to the King of Yagolhan. Bayonia's name was changed to Chei-Dao and made into a Chinese-inspired society. (10) I liked the idea of one member of the team securing the escape route, and that stayed all the way to the final draft. As for weird things like "most dedicated member" or "most homicidal member," who knows what I meant by that. Obviously I never got the chance to finish, either because of class ending or the teacher telling me to shut up and pay attention... I don't know why I would have been talking out loud as I was writing... but I shelved it for a while and by the time I started earnestly outlining the book, the concept had completely changed in my mind. I still liked the idea of beginning with a bang. In a fantasy setting there is no real equal to blowing up a power plant, but my assassination idea sufficed well enough. Originally the idea for the novel series was tentatively called The War of Eleven Nations. Much like the assassination of Archduke Ferdinand started World War I, these events would have kicked off a war, with a bunch of kingdoms getting involved and the story would have mainly been about the alliances and betrayals and battles the characters got caught up in. Thanks for joining me as I delved into the creative mind a bit and shared a little of the madness behind the method. Don't forget, Secrets of the Stonechaser is available right now, exclusively at Amazon. Follow the Faery Footpath available now and Secrets of the Stonechaser FREE on Kindle for limited time! Today Follow the Faery Footpath, Book 2 in The Law of Eight series, is officially released! Get it now on Amazon, available in both paperback and ebook. But that's not all. 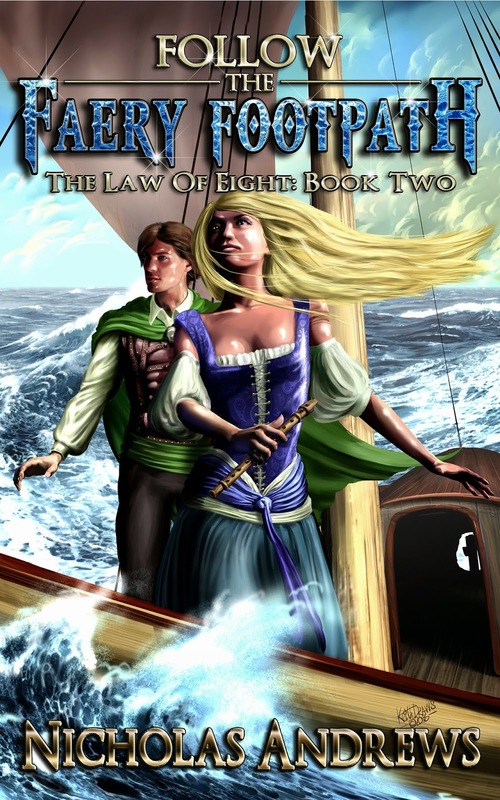 Get both Law of Eight books so far essentially as two for the price of one. I'm running a free Kindle promotion on Book 1, Secrets of the Stonechaser, through June 11. Go to Amazon now and get your copy! 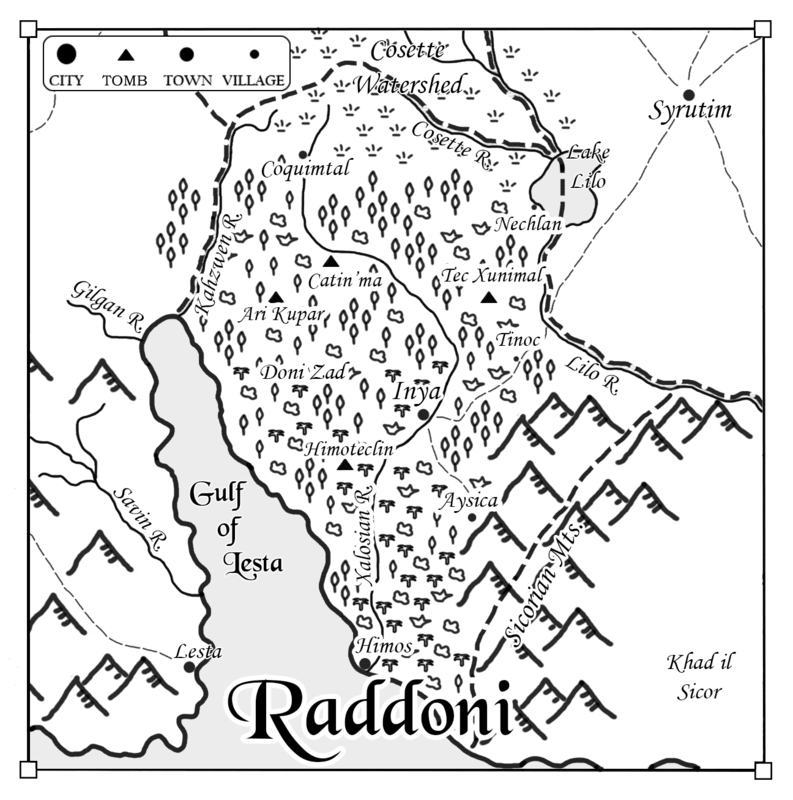 This page is for those who buy the e-book version of Follow the Faery Footpath and wish to view higher quality maps from various locations in the book. Follow the Faery Footpath Official Announcement - Available June 9! 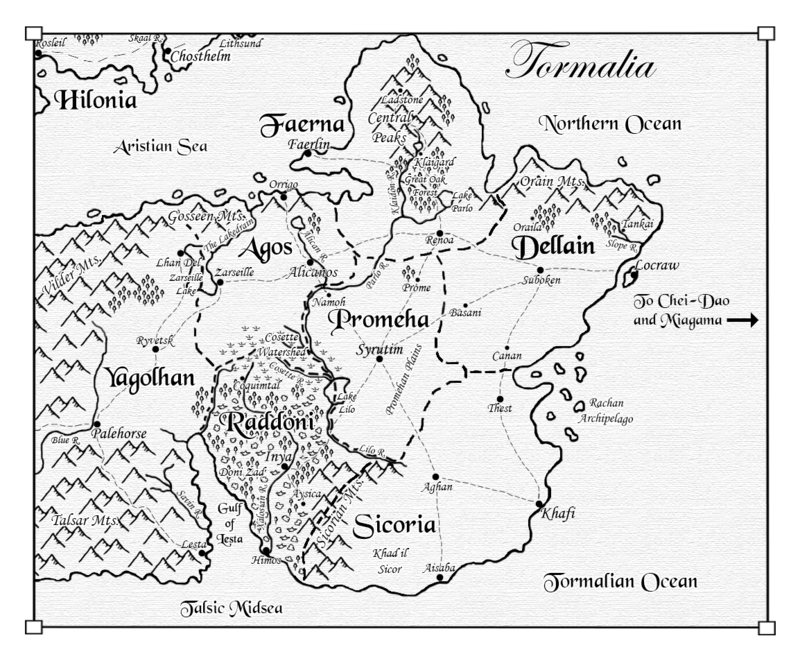 On June 9, step back into the continent of Tormalia and continue the journey for the Elemental Stone with Nerris, Len-Ahl, and all the others. Follow the Faery Footpath will be available at Amazon in both paperback and Kindle form. When the Thrillseekers reunited, they did not know the treasure they sought was the first marker of the Faery Footpath, a journey which would lead them to a godstone... one half of magic’s last earthly legacy. 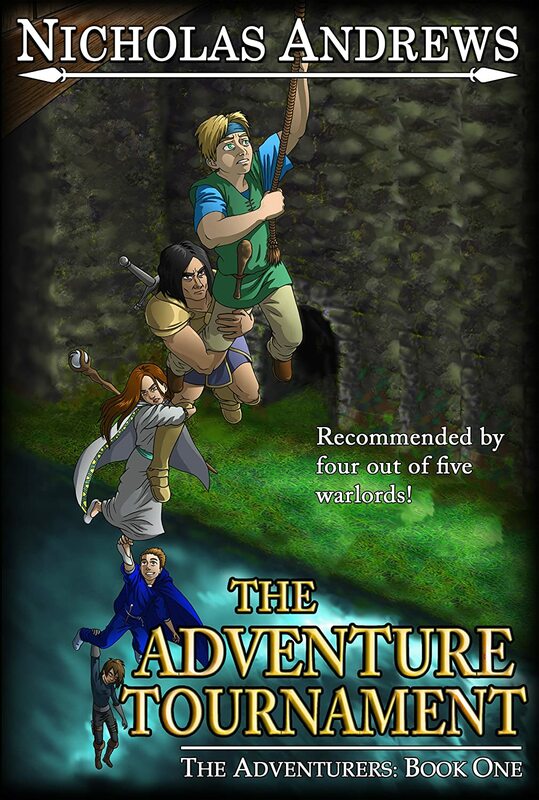 With Len-Ahl the Stonechaser leading the way, they seek the second marker within the iconic tomb of an ancient king. For with the Elemental Stone, they can put an end to the ambitions of Queen Qabala, as well as the evil power she serves. However, Qabala has not been idle. Even as her forces prepare for war with the east, the holder of the world’s other remaining godstone trails after Nerris and his companions. Her allies are not only human, but from beyond the world as well. A ferocious dragon is spotted in the Tormalian skies, and a deadly beast known as the Malkind awakens from its ancient imprisonment. The Thrillseekers must also contend with internal struggles as new faces join their journey, and unscrupulous agents seek to destabilize the alliance of the eastern kingdoms. Nerris and Len-Ahl find they must hold true to their quest, and to each other, as the fight for the fate of the world draws near. The story continues on June 9! A sneak preview of the cover for the third installment of The Thrillseekers: Cadets of Gauntlet, continuing the adventures of Nerris, Dist, and Jhareth's days attending the fighting school Gauntlet. Coming soon to an e-reader near you! 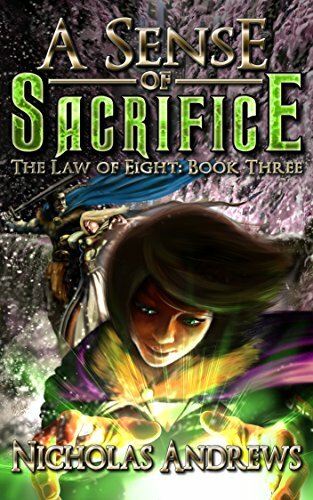 For information on the first two Cadets of Gauntlet stories, as well as the main novel series The Law of Eight, please visit the Books page.